Доступоно в цветах: Black and Deep-Green. Get ready to show off your glamorous side in Mac Duggal Fabulouss style number 77537. 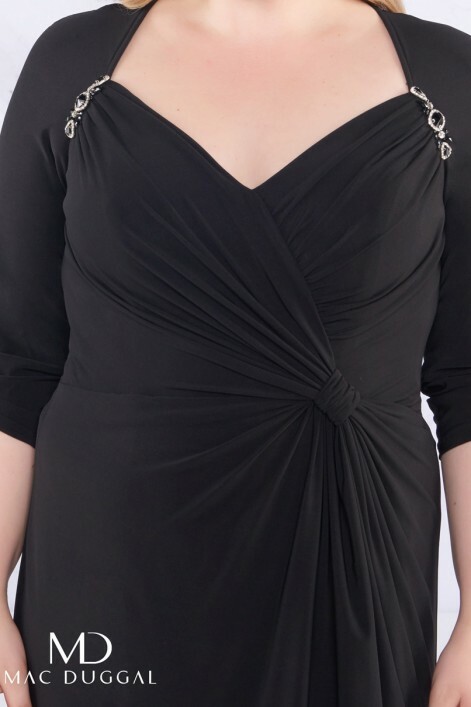 V-neckline with quarter length sleeves. The shoulders are ornate with accents while the rouched bodice highlights your curves. The skirt has a fit and flare silhouette and finishes in a chic sweep train. Flatter your shape with this sculpted gown from Mac Duggal.